Urban Trainings Centre Marnehuizen is the largest military practice setting in Europe. This ‘practice’ village counts a 122 houses and a real infrastructure like an ordinary Dutch village and is located hidden within a nature reserve in the north of the Netherlands. 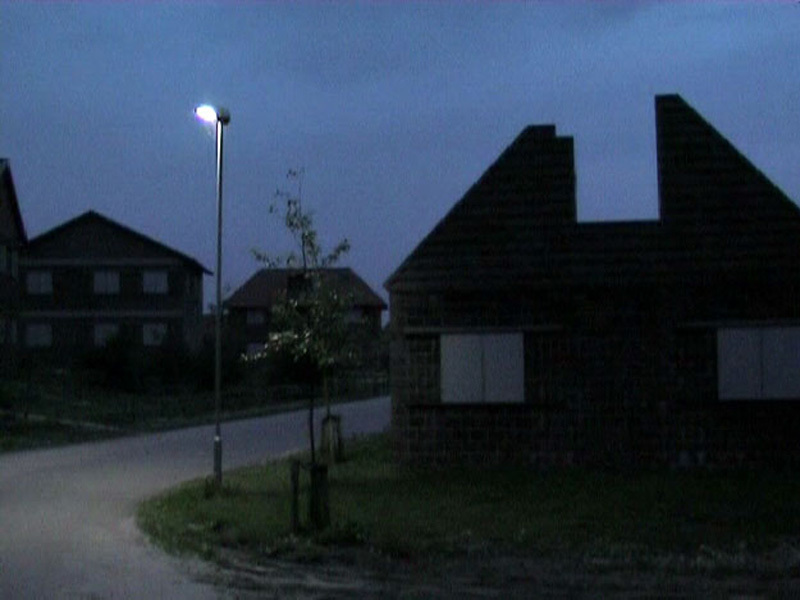 The constructed ruins and architecture remind of many newly build domestic areas in the Netherlands. 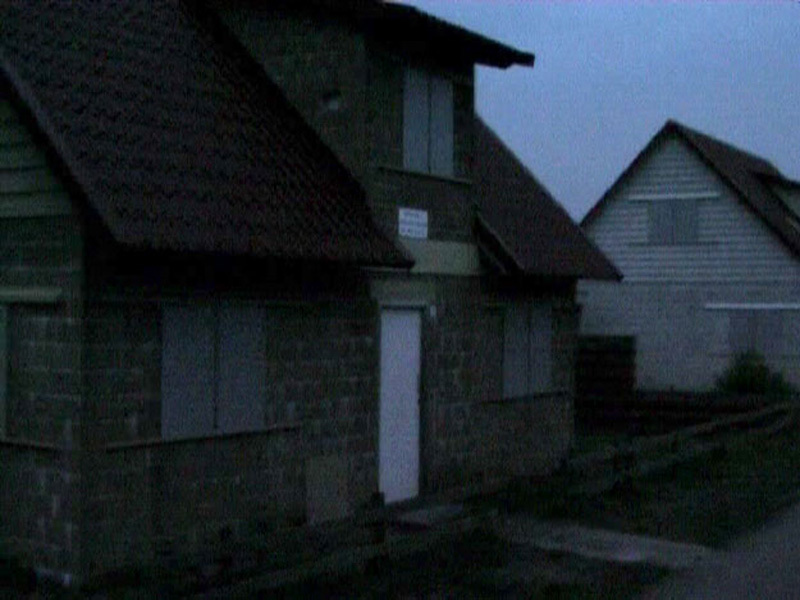 The village consists of houses, a railway station, a city hall, bank, supermarket, gas station, an industrial zone and an underground sewer system. The names of the streets in Marnehuizen refer to the bombed streets in the centre of Rotterdam (WOII). 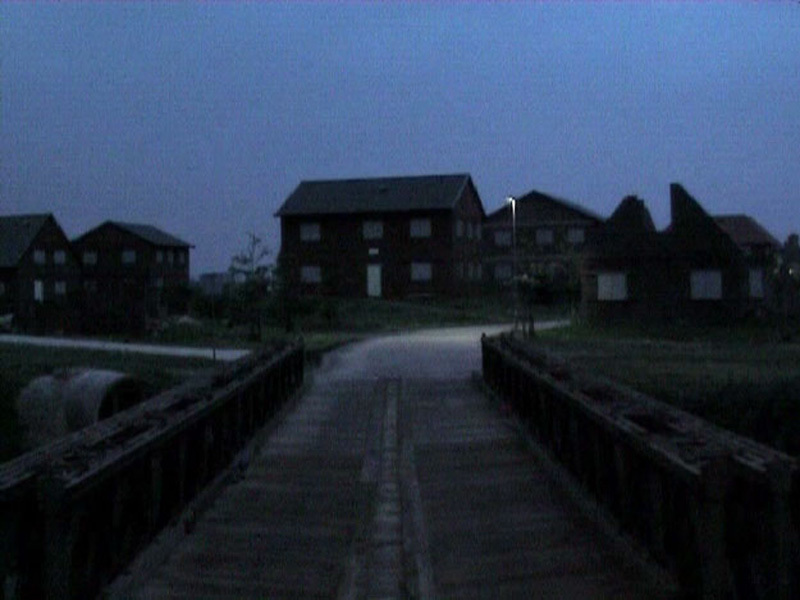 In the video work Marnehuizen (NL), the camera slowly enters the village into the night and crosses the deserted village setting in one long uninterrupted camera movement.